After the Abbottabad operation, an American businessman who wrote that Iraq had WMDs and has termed Pakistan’s state agencies as ‘terror masters’ delivered an unsigned memo to a US military official who “He did not find it at all credible and took no note of it then or later”. Five months later, the American businessman and FOX News analyst described his top secret mission in an op-ed for a British newspaper claiming that he was asked to deliver the memo by a top diplomat who already has direct access to the highest levels of American government. As proof he offers what he claims are a series of SMS chats. Sounds too ridiculous even for 70s Bollywood dramas, but here in Pakistan it’s front page news. Even though he the American accuser can’t explain why a top diplomat would need a businessman to deliver messages to government officials, or why, if he was really carrying out a top secret mission, did he write about it in an international newspaper, the media has taken him at his word. They’re not asking why they should trust the word of an American businessman who told FOX News that Pakistan’s nukes are insecure and that the military was hiding Osama bin Laden. And all the skepticism about Wikileaks memos has now been replaced by an eager willingness to blindly accept the authenticity of some SMS chats. The American businessman says that the whole scheme was a plot hatched at the highest levels of government who were worried about a coup following the American raid that nabbed Osama bin Laden. But, as Cyril Almeida points out, it wasn’t the civilians who were sweating. Rewind to the days between May 2 and May 10. 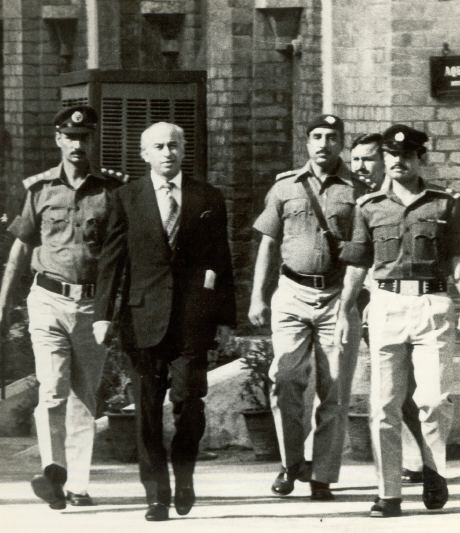 There was anger in Pakistan, hard questions were being asked, backs were to the wall, people were in danger of losing their jobs, resignations were being demanded publicly and privately — but unless I was living in a different country those eight days, it was the army high command that was in danger then, not the bumbling civilians. The month of May was the army`s mensis horribilis — a truly horrible month in which May 2, the PNS Mehran attack and the disappearance and murder of Saleem Shahzad had put the generals on the rack, public opinion-wise. The idea that the wily Zardari and scheming Haqqani had not figured out which side was in danger and which wasn`t after May 2 seems, well, implausible. Since May, it has been the military, not the civilians who have found themselves in a difficult position. The unexplained presence of Osama bin Laden outside Kakul. The ability of the Americans to come fly in their commandoes, conduct an operation, and leave without ever being detected. The ability of militants to walk into PNS Mehran and destroy security assets, kill our soldiers, and then sneak back out. The American military chief terming the Haqqani network as “a veritable arm of the ISI”. The military starts to find itself with its back against a wall, and a gift falls out of the sky in the manner of an American businessman presenting a story that whips up nationalist sentiments and the media plays its role by readily promoting the American accuser and all of his claims, while ignoring the civilian official and all common sense. The accused has defended himself vigorously, catching even his most hardened critics off guard by pointing out that the entire affair makes absolutely no sense whatsoever, and saying that if they nation want him out of office so badly, then fine, he’ll leave. But common sense and reason doesn’t play well for ratings, and today journalists are falling into line perfectly. They have even begun putting on black coats and holding their very own media trial of the accused, complete with legal theories and recommended charges. Two front page articles in The News use the word ‘treason’, and the bottom strip on ARY repeatedly says that if he arrives in Pakistan the accused might be tried for treason. Could it be that the entire affair is actually going quite according to plan? It makes absolutely no sense that civilian officials would draft such a sensational memo and think that they could sack the entire military leadership without causing the very coup they were supposedly trying to prevent. But what if the memo was always intended to be leaked? Tonight, Husain Haqqani was briefly on Express for a short interview. It was only the second time anyone in the media had invited him to explain about the accusations against him. His interview lasted for about 15 minutes, and then Sheikh Rasheed and Shireen Mazari were given free time to comment. At the same time, Geo was broadcasting Senator Tariq Azeem talking about charges of treason, and Mansoor Ijaz was joining the discussion from London. From the morning headlines to the talking heads on TV, one talking point seems to keep reappearing: “Haqqani’s resignation is not enough. Zardari must answer for himself”. Am I the only one that is feeling a creeping sense of deja vu? This entry was posted in Blogs and tagged democracy, husain haqqani, Mansoor Ijaz, media, memogate, military, Osama bin Laden, PNS Mehran by Mahmood Adeel. Bookmark the permalink. Well said. This is all a bit too convenient. It is scary how ignorant our media is being right now. Ah! Mahmood Adeel could you introduce us to this genius Colonel or perhaps field officer who created this memo.We know our Generals are not capable of bring a coup these days otherwise they would have! I wish you would help them.